A group of scientists from ITMO University, Australian National University and Aalto University called into question the results of a study, published by the researchers from Cambridge University in a prestigious scientific journal Physical Review Letters. In the original study, the British scientists claimed that they managed to find a missing link in electromagnetic theory. The findings, according to the scientists, could help decrease the size of antennas in electronic devices, promising a major breakthrough in the field of wireless communications. The scientific inconsistency of the study was noticed by a group of Russian experts in the field of dielectric nanophotonics from several universities. As it turns out, the paper, which at first sight appeared to be a perfectly fine work of scientific inquiry, in fact contains numerous mistakes and inaccuracies that run counter to well known facts from the theory of electrodynamics. Having carefully studied the original paper, the group prepared an official comment on the paper, in which they challenged the results described by the Cambridge scientists. The comment was recently published by the Physical Review Letters, the same journal that published the original paper. The study, conducted by the British scientists, was presented as a breakthrough in the field of wireless communications. 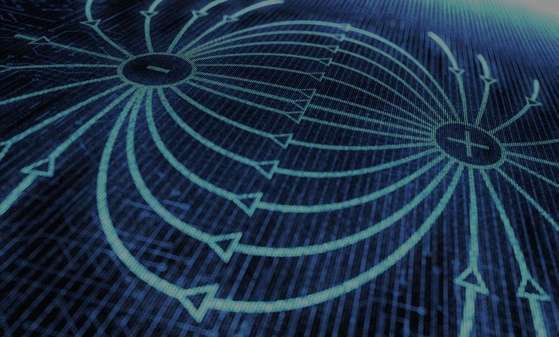 According to the official release by the Cambridge University press office, the scientists discovered that the electromagnetic radiation in antennas is caused not merely by the acceleration of electrons, but also by the phenomenon of symmetry breaking of electromagnetic fields. According to the release, the discovery could potentially lead to a decrease in the size of antennas to such an extent that they could be integrated inside electronic circuits. However, according to the authors of the new comment, carefully reading the paper reveals that the results are based on an erroneous interpretation of experiments and surprising lack of understanding of theory. "Many rather sensational claims made by our Cambridge colleagues do not hold up to critical analysis and can be easily refuted simply by looking at the current literature on the topic," says one of the authors of the comment, Professor Konstantin Simovsky at Aalto University. "In particular, the paper says that the effectiveness of a resonator is higher when its symmetry is broken or that electromagnetic waves can only be radiated by a non-symmetrical antenna—all these conclusions and absolutely incorrect and can mislead an inexperienced reader." The situation raises the issue of the quality of peer review in scientific journals. The authors of the comment express concern with respect to how the review process is carried out in many high-impact journals. "At the present time, scientists that review papers in scientific journals are picked up from the scientific community. However, their qualifications are not always enough to reasonably evaluate studies that are to be published," says Pavel Belov, head of the Department of Nanophotonics and Metamaterials at ITMO University. "The reviewer's main task now boils down to publishing interesting papers on hot topics, while the true novelty and scientific accuracy of the results are not checked well enough." The authors of the comment are renowned experts in the field of dielectric nanoantennas for optical and microwave ranges. The group has published numerous research and review papers on the topic of dielectric nanophotonics. Recently, one of the authors of the comment, senior researcher Alexander Krasnok at the Department of Nanophotonics and Metamaterials of ITMO University, developed and patented an ultradirectional optical dielectric nanoantenna and a dielectric nanoantenna of Yagi-Uda type. Dielectric nanoantennas represent a promising alternative to antennas based on metallic nanoparticles. Thanks to the lower losses related to the scattering of radiation in the optical range, dielectric nanoparticles are ideal for effective control and modulation of electromagnetic waves on nanoscale. Moreover, dielectric nanoantennas show other exotic properties that are not inherent in their metallic analogues—it was shown, for instance, that dielectric nanoparticles open possibilities to construct nanoantennas that have simultaneous tunable electric and magnetic response.